Twin brothers Chickadee and Makoons have spent every day side by side and have done everything together since they were born -- until the day the unthinkable happens and the brothers are separated. Desperate to reunite, Chickadee and his family must travel across new territories, forge unlikely friendships, and experience both unexpected moments of unbearable heartache as well as pure happiness. And through it all, Chickadee has the strength of his namesake, the chickadee, to carry him on. 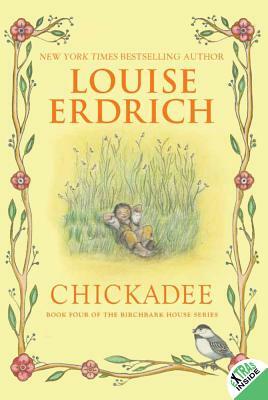 Launching a new arc in the celebrated Birchbark House series, Chickadee continues the story of one Ojibwe family's journey through one hundred years in America.